Six complimentary nights at wonderful hotels in Baden Baden, Munich, Venice, and Rome. A perfect day touring a family winery and enjoying a traditional Tuscan lunch with delicious local wines. 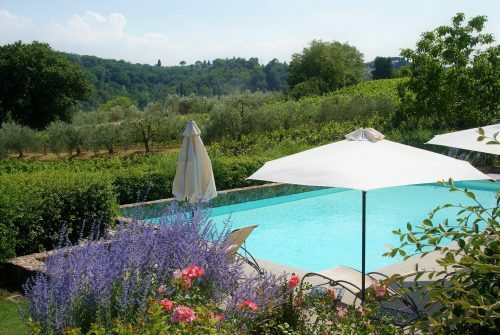 Swimming, eating, drinking and sleeping overnight at a magical agriturismo (farmhouse resort) overlooking the medieval city of San Gimignano, Italy. A private tour of Old Town Heidelberg, Germany, and a visit to the awe-inspiring castle. An intimate cooking class in the cozy kitchen of a 4-star fine dining restaurant in Montepulciano, Italy, followed by the most delicious and eye appealing meal I have ever had. In September of 2016, I heard speakers at The Ultimate Travel Writers Workshop talk about some of the perks of being a travel writer. They all sounded marvelous, but it seemed too good to be true. Free hotels, free meals, free tickets to attractions, and access to people and places not available to the average tourist. As a new travel writer, I wondered how realistic is was for me to receive some of these wonderful perks… Would it take years? Would these perks only be available to those lucky enough to know the right people, or to writers who just happened to be in the right place at the right time when the travel fairies passed out the magic tickets? After less than a year, I’ve been fortunate to experience all of the perks mentioned (and more) on my recent trip to Europe. On that trip, in total, I racked up about $2,500 in perks. I’ve also received free stays, meals, and tickets in beautiful Door County, Wisconsin, as well as the magnificent Texas Hill Country. Yes, the perks are real for those willing to put in the necessary work. Of course, I had to work hard and smart to get these travel perks. You don’t just say, “Hi, I am a travel writer and I want you to give me a free hotel room, free food, and free everything else.” You must write an article that is of value to the owners and operators of hotels, restaurants, and other businesses in exchange for those perks. My advice to new travel writers who want to experience this kind of travel? Secure a letter of assignment for an article with a high-profile magazine. This might be hard for beginners but should be fairly easy if you’re following the Great Escape plan outlined in their courses and live events. Send a request for media assistance to the CVB (Convention and Visitors Bureau) at your destination. GEP has letters you can model inside their programs. Include a brief description of your article. Be specific about what you want. Be clear what you’re offering for coverage. Include some brief comments about your background, why you’re excited about your upcoming trip, and what you would like to see. Demonstrate that you know something about the destination. If you don’t hear from the CVB within a few weeks, or they tell you they are not interested, consider contacting hotels, restaurants, and attractions directly to make your requests. Amazing perks are indeed available to travel writers. 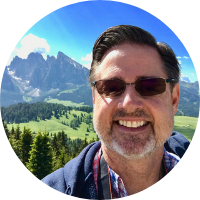 In return for hard work, perseverance, and, of course, an excellent article, the rewards of travel writing are many. It may sound hard to believe at first, but fantastic perks are within your reach if you follow the plan.